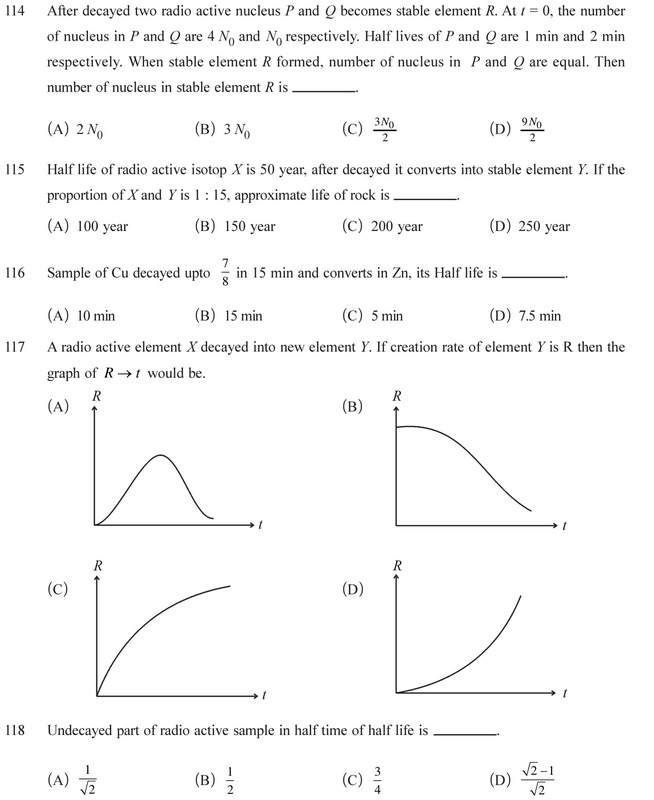 NCERT Solutions for Class 12 Physics Chapter 13 Nuclei Chapter end exercises and additional exercises in PDF form. Sols of other subjects please Click Here. 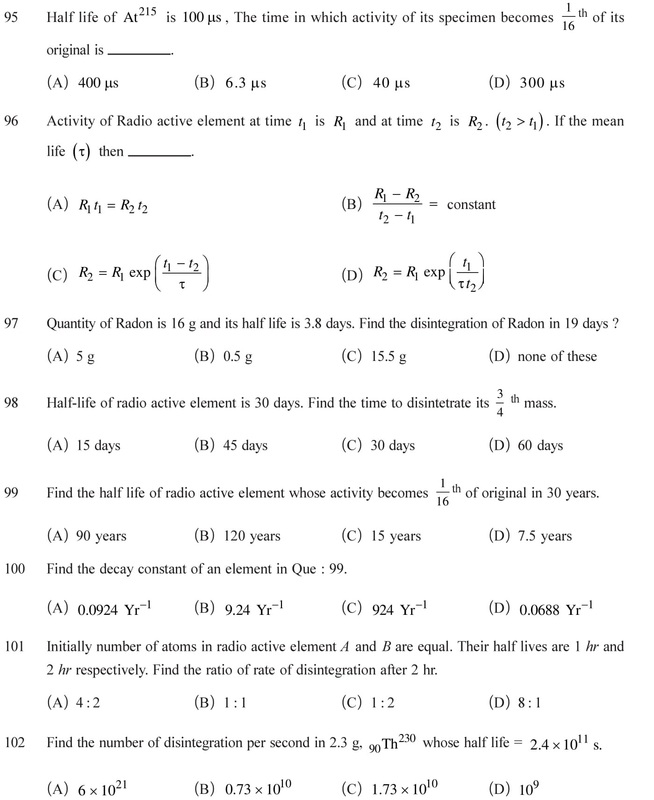 Questions based on numerical are generally asked from this chapter in CBSE Exams. 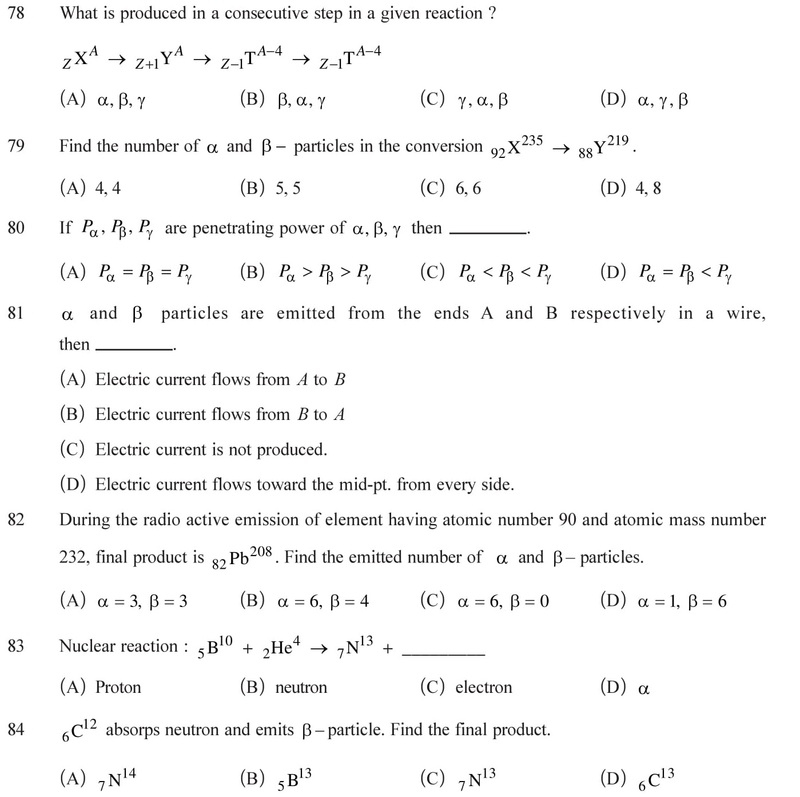 That is why, some numerical with answers are given below for practice. 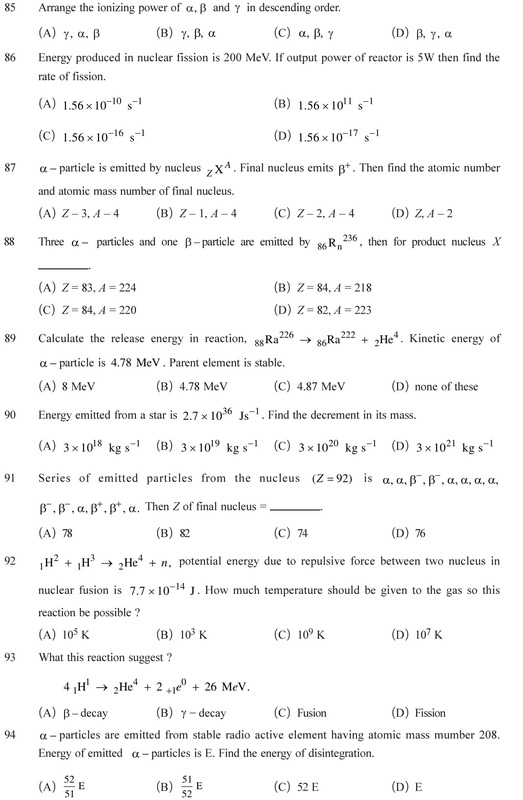 Download NCERT Solutions for Class 12 Physics Chapter 13 Nuclei in PDF form with the links given below. 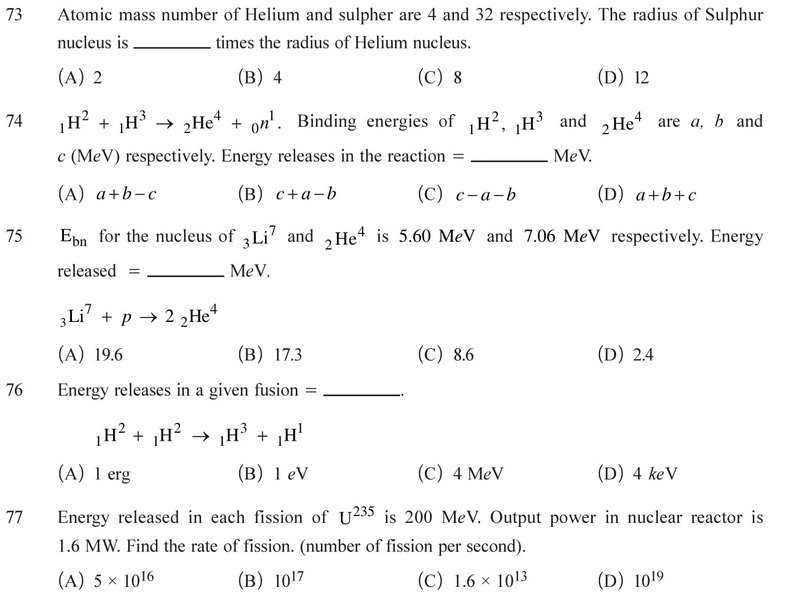 Following questions are providing a good practice on Nuclei chapter. It includes the questions, frequently asked in CBSE exams, JEE mains or NEET exams. It is a medium of good practice of this chapter. 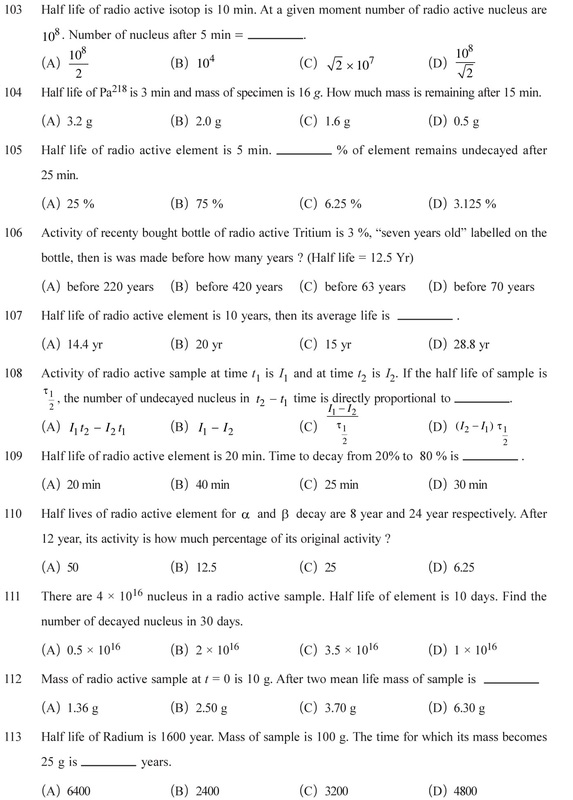 Question number 56 to 118 are given below. 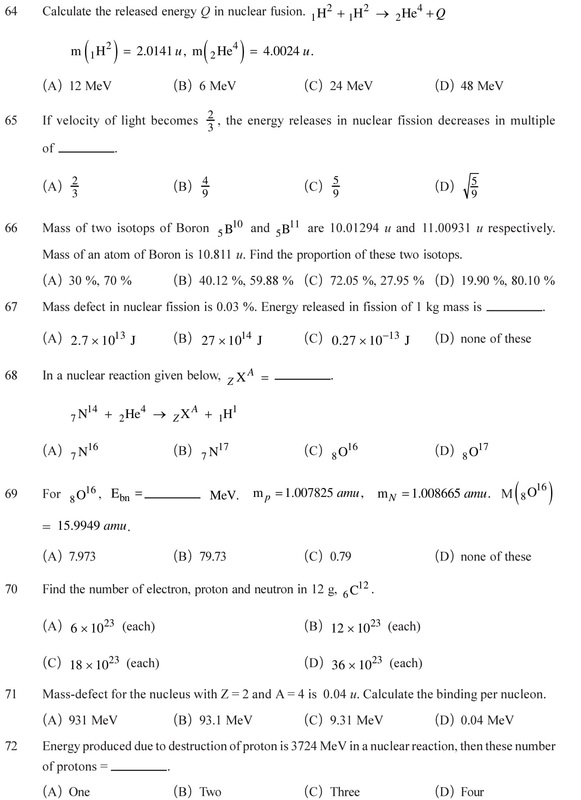 To see the question number 1 to 55, please Click Here. Atomic mass and the components of nucleus – proton and neutron. Atomic mass, relation of atomic mass, mass of neutron and mass of protons. Mass defect and numerical based on mass defect. Concepts of Isobars, Isotopes, Isotones (The nuclei for which the neutron number (N = A – Z) is same are called isotones.) and Isomers. 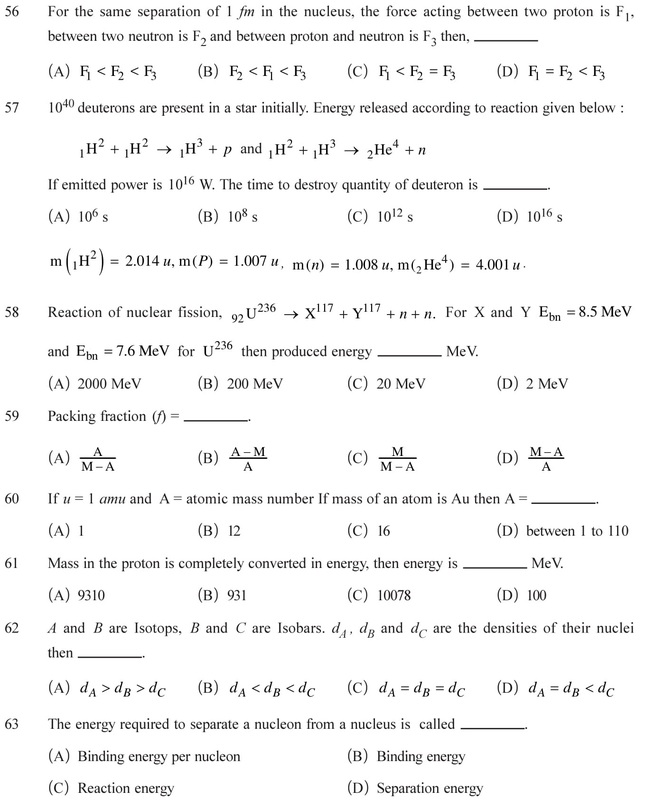 Electrostatic and nuclear forces and relations of binding energy with mass defect. See Answers. enormous energy is produced, such process is called thermonuclear fusion. See Answers. If N is the original quantity of any radioactive substance, then dN/dt is called the rate of disintegration or the decay rate or activity (I) of that element at time t. Activity means the number of nuclei decaying per unit time. 1 disintegration oceur in one second, then activity of body is called 1 Becquerel. 1 Bq = 1 disintegration / sec. Half life and mean life of a radioactive substance and the relation between them. See Answers. 56 (C), 57 (C), 58 (B), 59 (D), 60 (B), 61 (B), 62 (C), 63 (D), 64 (C), 65 (C), 66 (D), 67 (A), 68 (D), 69 (A), 70 (D), 71 (C), 72 (D), 73 (A), 74 (C), 75 (B), 76 (C), 77 (A), 78 (B), 79 (A), 80 (C), 81 (A), 82 (B), 83 (B), 84 (C), 85 (C), 86 (B), 87 (A), 88 (A), 89 (C), 90 (B), 91 (A), 92 (C), 93 (C), 94 (A), 95 (A), 96 (C), 97 (C), 98 (D), 99 (D), 100 (A), 101 (B), 102 (C), 103 (D), 104 (D), 105 (D), 106 (D), 107 (A), 108 (D), 109 (B), 110 (C), 111 (C), 112 (A), 113 (C), 114 (D), 115 (C), 116 (C), 117 (C), 118 (A).